Dining has its aesthetics, with tableware and kitchenware an indispensable part. 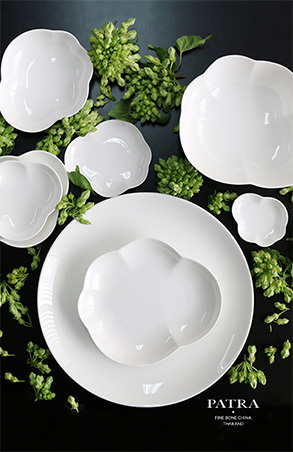 As a ceramic tableware manufacturer, Patra Porcelain intends to offer visual from beauty and practicality, to cooking and service. Founded in 1992, the brand is one of the key players in the industry in Thailand. Famous for good quality, it’s particularly popular amongst such businesses as restaurant, hospitality and airline, and is also often the first choice for major property development projects. Managing Director Surapong Supanpong reveals how Patra Porcelain has won the hearts of both domestic and international consumers. Patra began its business with bone china which is stronger and more translucentthan other types of porcelain. 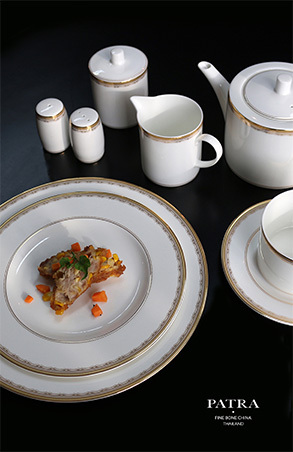 Meticulously produced porcelain is represented through its elegance, and thus typifies what Thailand Trust Mark conveys—an attentive and focus on production standards that brings about the quality of the product. Patra is entrusted with supplying its products to Thai Airwaysfor use in first class and Thai’s lounges in airports around the world and to six-star MGM Las Vegas Hotel. All Patra Porcelain branded products meet various international standards in terms of durability and are carefully examined in all stages of production before reaching the consumer. The United States Food and Drug Administration also approves that its ceramics are free of lead and cadmium. 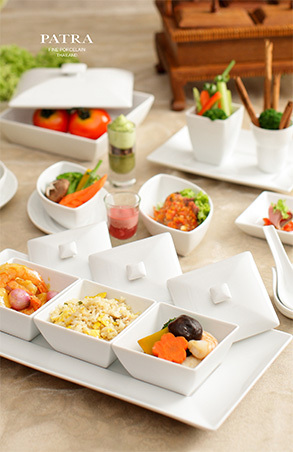 Patra offers simple and uncluttereddesigns, to deliver beautiful aesthetics on the dining table. Design elements in the details have created products that are stylish and easy to use. Maintaining a high standard is also a contributing factor to success. Patra boasts one of the highest standards in Thailand for production and logistics as well as the Thai Labour Standard (TLS 8801-2553), for fair worker treatment. 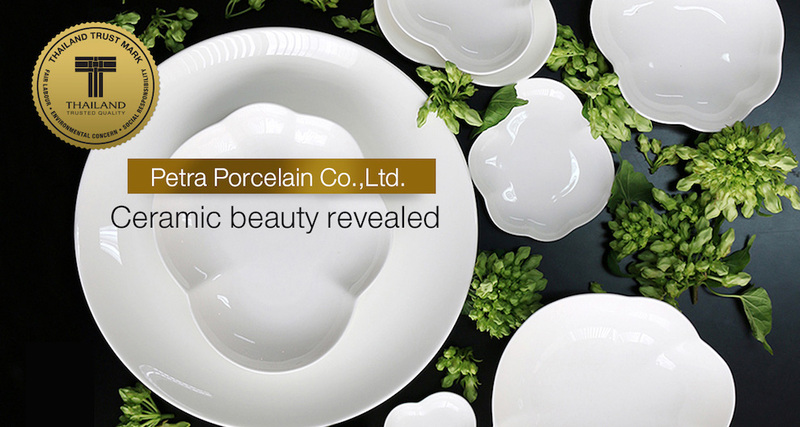 Patra Porcelain reveals the beauty of ceramics through international production standards. Thailand Trust Mark helps contribute to Patra’s more secure and flourishing business. As Thai craftsmanship has been widely celebrated and acknowledged, Patra has every confidence in its skilled members of staff whom are motivated to develop outstanding products. Receiving the T Mark means that the Patra is one of the best in Thailand and takes pride when its products are exhibited in both domestic and international markets.